It's so important to cater to people who have different dietary needs. Vegetarian options like this falafel wrap may count for at least ten percent of your customer orders. Combine the HELLMANN'S Deli Mayonnaise and KNORR Thai Sweet Chilli Sauce GF together and set aside for use. 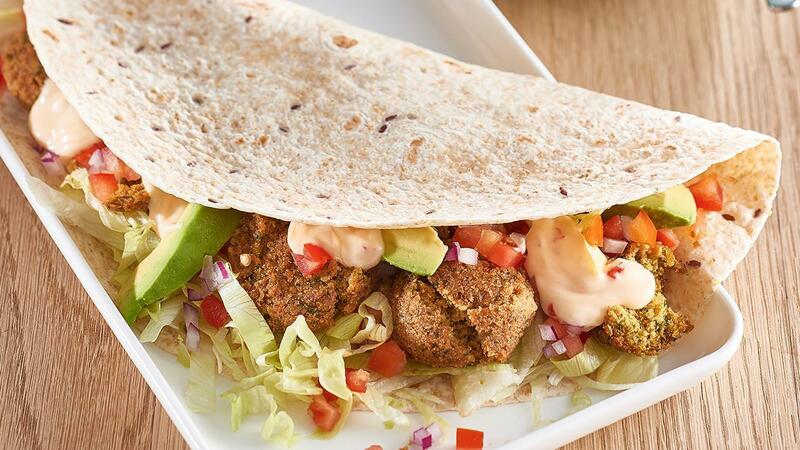 Fill the wraps with warmed falafels and salad ingredients, add the sweet chilli mayo, roll up and serve. The best way to extract avocado out of its skin is to scoop it out with a large spoon.